Pace New York Model UN students Cyrus Ghazanfar ’14 (front row, far left) and Shant Alexander ’14 (front row, third from right) with campaigners for the Control Arms coalition outside the United Nations building in New York July 25, 2012. Control Arms Coalition/Andrew Kelly. Used with permission. Two Pace University students put Model United Nations (MUN) lessons into action at the UN Diplomatic Conference for the Arms Trade Treaty (ATT) this summer, participating in a special internship arranged by the Pace New York Model UN program. Shant Alexander ‘14 and Cyrus Ghazanfar ‘14 worked with the media team of Control Arms, a coalition of nonprofits, charities, advocacy groups and faith institutions campaigning for a strong and robust treaty regulating the trade in conventional weapons. Control Arms seeks to ban the transfer of arms to states and armed groups that abuse human rights and commit war crimes. The Pace students found themselves in the middle of a developing international news story when the Control Arms media team supported a high profile investigation on a network of Russian gun runners. Blowing the whistle on illicit arms dealing in Mauritius, the team exposed the involvement of associates of the notorious ‘merchant of death’ Viktor Bout. (Bout is currently in federal prison just blocks from Pace’s downtown campus). The story was covered by CNN, The New York Times and numerous other top news outlets. 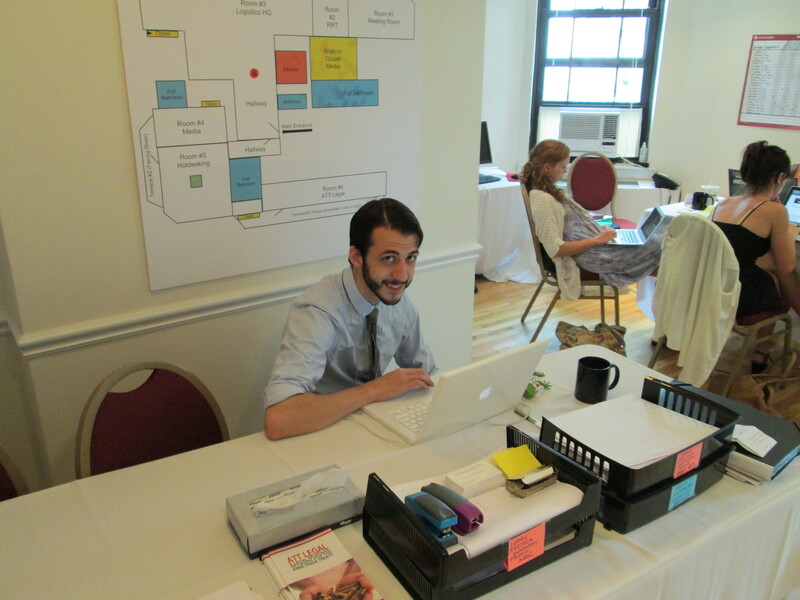 Shant Alexander ’14, Model UN student at Pace University New York, working in the Control Arms office during the Arms Trade Treaty negotiations in July. Control Arms staff told Pace that Cyrus, a junior economics and political science double major, and Shant played a significant role in the campaign, monitoring media coverage, organizing press conferences, translating and managing logistics. 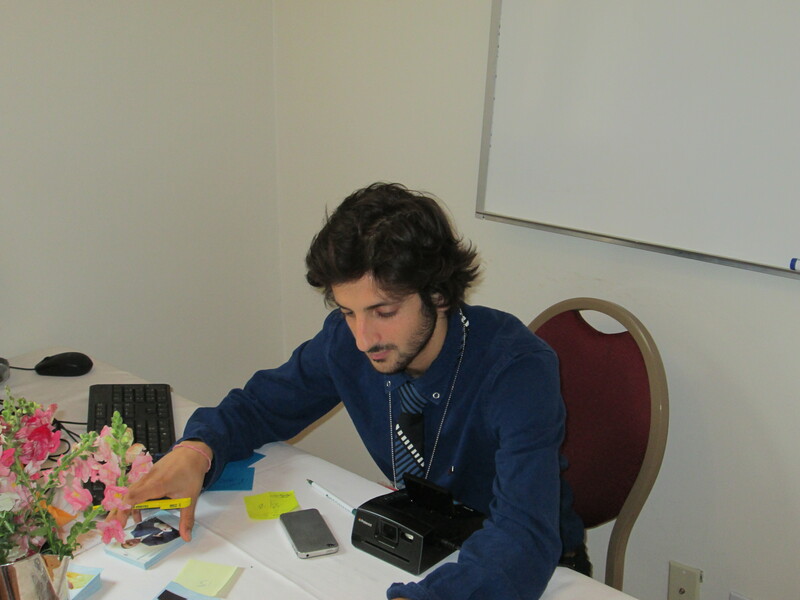 Cyrus Ghazanfar ’14, a Model UN student at Pace University New York City, working in the Control Arms offices during the Arms Trade Treaty negotations in July. The ATT conference ended inconclusively, with consensus blocked by the US, China, Russia and a small group of authoritarian states. However, campaigners believe the draft treaty text, though not perfect, represents a major step forward in controlling the international arms trade, currently less regulated that the global market in bananas. Matthew Bolton, Pace New York’s Model UN faculty advisor, was also involved in the ATT conference, assisting Control Arms’ information and analysis team. He has conducted extensive research on humanitarian efforts to mitigate and control the impact of conventional weapons such as landmines, cluster munitions, small arms and military robots. During the conference he wrote analysis of the ATT process for the online Comment and Editorial section of Global Policy. Located only two express subway stops from the iconic United Nations complex on the East River, Pace University’s New York City Model UN program has a 60-year history of excellence in regional, national and international conferences. Model UN at Pace is uniquely integrated into the Political Science curriculum within the Dyson College of Arts and Sciences and aims to encourage students to develop wisdom, knowledge and skills for global citizenship. This entry was posted in News and tagged #armstreaty, Arms Trade Treaty, ATT, cluster munitions, CNN, Control Arms, Dyson College, Dyson College of Arts and Sciences, global citizenship, international law, landmines, media, Model UN, Model United Nations, National Model United Nations, New York Times, NMUN, Pace, Pace University, small arms proliferation, UN, United Nations. Bookmark the permalink.